Here’s an explanation of Emotional Freedom Techniques (EFT) for weight loss — how and why it works. Gary Craig has written extensively on his site (http://www.DiscoverEFT.com) about the way weight loss works, at least the way it is supposed to work . . . you know, that basic mathematical formula . . . expend more than you take in, and you’ll lose weight. But the advice we have all heard (eat less . . . exercise more) isn’t all that helpful. One simple reason — there are emotions behind eating that interfere with the desire to lose weight. I don’t have to tell you that obesity is at epidemic proportions. 2/3 of Americans are overweight. Diabetes eats up $1 of every $5 spent on healthcare. A recent study at Harvard showed that obesity may soon surpass tobacco as the #1 cause of cancer deaths. At least 95% of dieters fail, and will regain their weight and more within 2 years. Something very subtle is at the root of emotional eating. Unresolved emotional issues or traumatic events create blocks or disruptions in the body’s subtle energy system. These blocks create an “anxiety short circuit,” which in turn, causes someone to overeat. The overeating calms the anxiety, but at the expense of consuming too many calories. 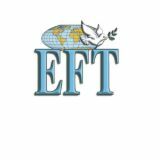 EFT is very soothing and relaxing. It usually removes the anxiety, and with the anxiety gone, the drive for emotional eating disappears. Further EFT helps to reprogram your energy system, so that you eat for nutrition, rather than having to tranquilize emotions. It’s very similar to acupuncture in that way. People say that acupuncture is very relaxing. EFT has the same effect. EFT helps people resolve emotional issues because it addresses the energy imbalance as well as the negative emotions that are creating the energy imbalance. As you resolve your emotional issues at a deep energetic level using EFT, your self-defeating overeating behaviors will likely diminish or disappear, usually permanently. This all happens without willpower. The tendency to respond to emotional issues by consuming food often fades. You are then freer to make other choices in response to emotions. Simply put, the cravings we get are often a result of stress, anxiety or another emotional event. Learning to deal with these moments without tranquilizing yourself with food can make a big difference in your ability to lose weight. People generally pay too much attention to external factors, such as obsessively counting calories, and not enough attention to internal factors, such as emotions and what’s going on inside. Our bodies can actually crave high sugar and high fat foods in an attempt to medicate ourselves into a calmer state (we don’t like to be upset) when we are avoiding our emotions or feeling a lot of stress. When we are in those emotional or stressful states, our body’s energy flow is blocked or disrupted, creating a zzzzzzt in the system, like a short circuit. EFT can eliminate those cravings almost instantly. It works like acupuncture to stimulate the meridian system to bring it back into balance. Many people choose EFT as a confidential way to work on emotional overeating issues. The key is using EFT regularly, if necessary. Many people just try it out and stop if they don’t get results right away. How Else Can EFT Help For Weight Loss? Besides stopping addictive cravings, EFT can help manage and sort out the emotions that drive them. We all know that it’s not as simple as “eat less . . . exercise more.” Simply managing the frustration and discouragement around weight loss issues is phenomenal. EFT can help manage negative thoughts, such as “I’ll never lose weight, so why bother?” These thoughts are self-sabotaging in nature, and counterproductive. Stopping self-sabotage is an essential piece of the weight loss puzzle. After all, what good is weight loss if you can’t hang onto it?